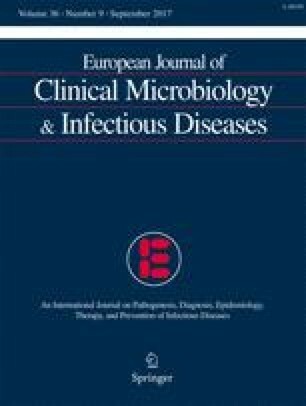 The use of vancomycin minimum inhibitory concentration (MIC) as an outcome predictor in patients with methicillin-susceptible Staphylococcus aureus (MSSA) bacteremia has become an important topic for debate in the last few years. Given these previous results, we decided to investigate whether MICs to vancomycin or daptomycin had any effect on the evolution of patients with ventilator-associated pneumonia (VAP) due to MSSA. An observational, retrospective, multicenter study was conducted among patients with MSSA VAP. We analyzed the relationship between vancomycin and daptomycin MICs and early clinical response (72 h), 30-day mortality, intensive care unit (ICU) length of stay (LOS), and duration on mechanical ventilation. Univariate and multivariate analyses were performed. Sixty-six patients from 12 centers were included. Twenty-six patients (39%) had an infection due to MSSA strains with a vancomycin MIC ≥1.5 μg/mL. Daptomycin MIC was determined in 58 patients, of whom 17 (29%) had an MIC ≥1.0 μg/mL. Ten patients (15%) did not respond to first-line treatment. Only daptomycin MIC ≥1.0 μg/mL had a significant association [odds ratio (OR): 30.00; 95% confidence interval (CI): 2.91–60.41] with early treatment failure. The 30-day mortality was 12% (n = 8). Any variable was associated with mortality in the multivariate analysis. None of the variables studied were associated with ICU LOS or duration on mechanical ventilation. In patients with MSSA VAP, vancomycin MIC does not influence the response to antibiotic treatment or the 30-day mortality. Daptomycin MIC was directly related to early treatment failure. All authors are members of Infectious Disease Working Group (GTEIS) of the SEMICYUC. Felipe Bobillo-Del Amo. (Intensive Care Unit, Hospital Clínico Universitario Valladolid, Spain), Lorena del Río-Carbajo (Intensive Care Unit, Complexo Hospitalario Universitario de Ourense), Sergio Ossa-Echeverri (Intensive Care Unit, Hospital Universitario de Burgos, Burgos, Spain), Víctor José López-Ciudad (Intensive Care Unit, Complexo Hospitalario Universitario de Ourense, Spain), Enrique Alemparte Pardavila (Intensive Care Unit, Complexo Hospitalario Universitario A Coruña, La Coruña, Spain), Jaime Torres-García (Microbiology Department, Hospital Universitario General de Castellón, Spain), Zaída García-Reig (Intensive Care Unit, Hospital Universitario General de Castellón, Spain), Marta Dominguez-Gil (Microbiology Department, Hospital Universitario Río Hortega de Valladolid, Spain), Juan Frasquet (Microbiology Department, Hospital La Fe, Valencia, Spain).